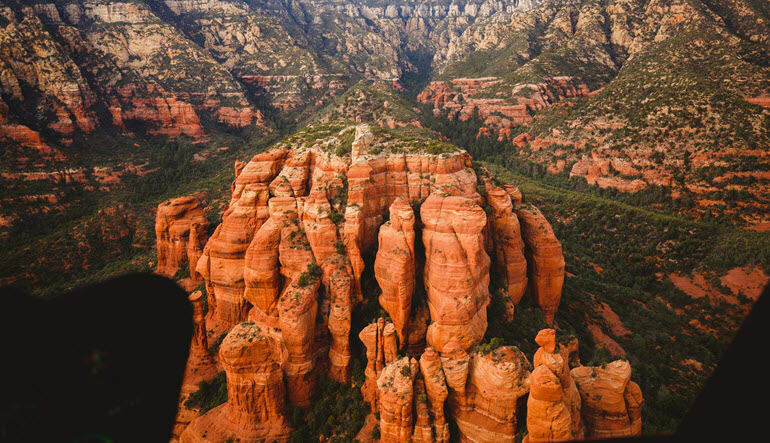 Of all the magical adventures to embark on in Sedona, a helicopter flight over the Anasazi cliff dwellings is one for the books. This aerial tour takes you over the 700-year-old structure! 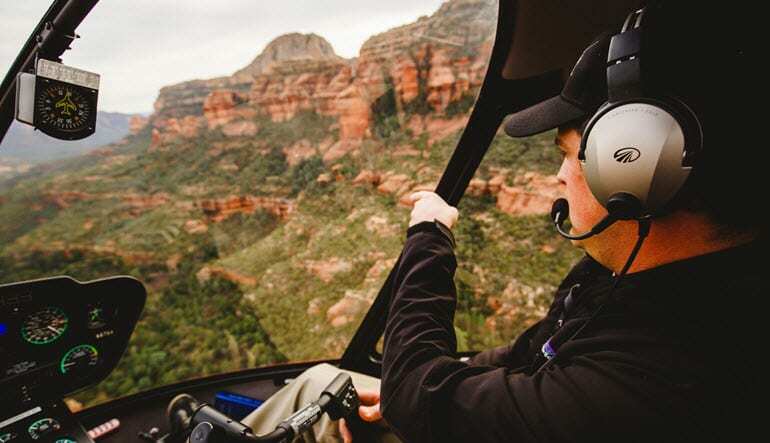 Of all the magical adventures to embark on in Sedona, a helicopter flight over the Anasazi cliff dwellings is one for the books. This aerial tour takes you over the 700-year-old structure, which was home to the Anasazi peoples from around 1250 to 1300 AD. After 1300 AD, they mysteriously disappeared but their homes, carved deep into the stone walls, remain a haunting monument to the once thriving community. Be awed as your helicopter swoops close to the dwellings and keep your camera handy to capture all the fascinating details! 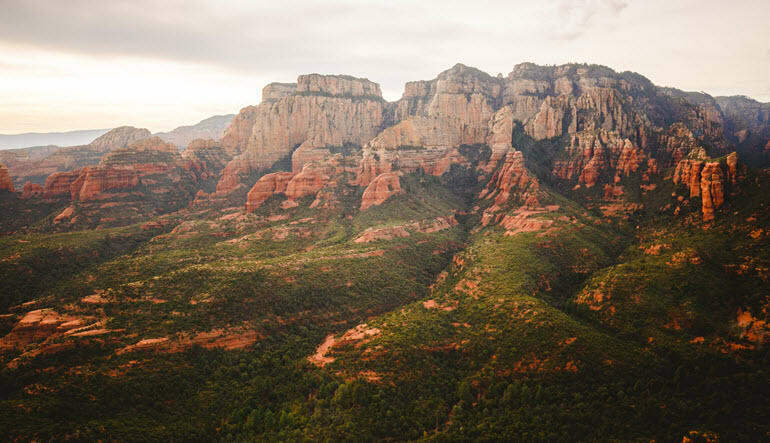 Enjoy a 20-minute helicopter tour in the Sedona desert. Soar toward Devil’s Bridge, a natural rock formation connecting two towering cliffs. 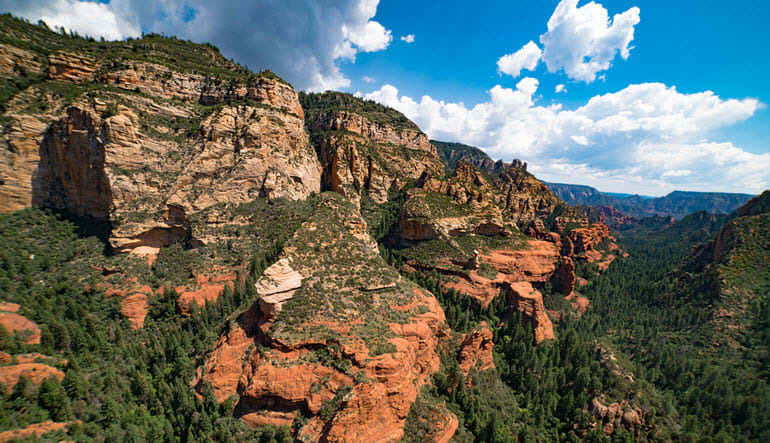 Continue to Secret Canyon and observe the famous hiking trails from above. Spot all the wildlife as you ascend onto the Mongollon Rim. Move through Boynton Canyon and approach the dwellings. Be amazed at the entire ancient town carved into the cliff side! The desert heat and heavy foot traffic can often detract from a ground-level exploration of this site. 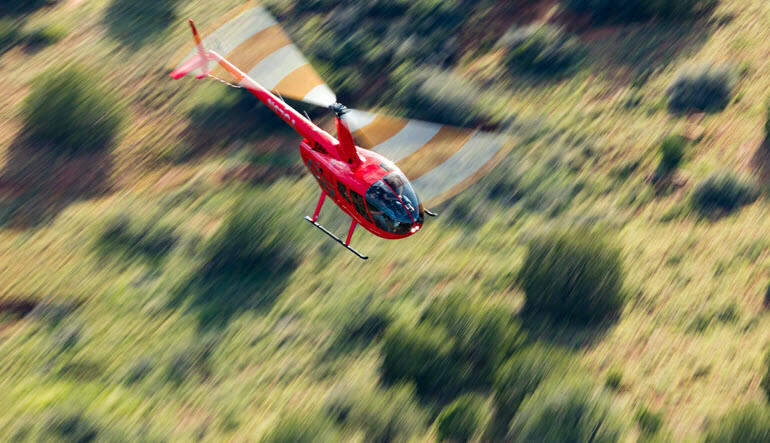 By seeing it all from a helicopter, you’ll enjoy crowd-free, unobstructed views without breaking a sweat! Book your adventure today!